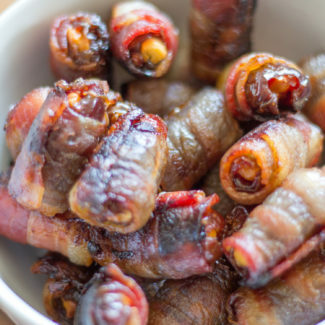 Do you like bacon wrapped dates? 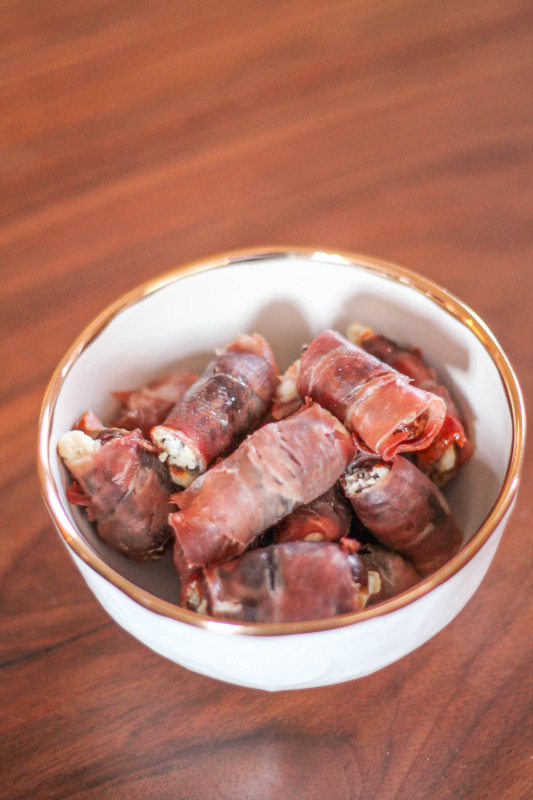 Well, prosciutto wrapped dates stuffed with cheese are even better. Plus, they are easier and faster to make! I know, it sounds too good to be true, but I promise you, it isn’t. 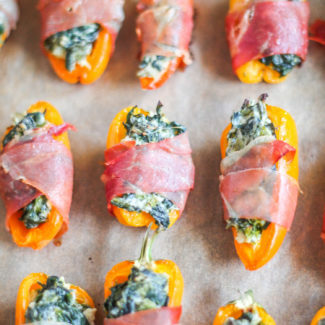 This is the appetizer you need to serve at your next party. 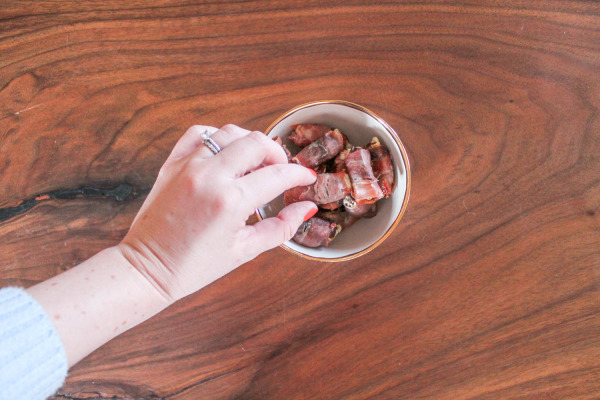 Here is how I took classic bacon wrapped dates and made the recipe better. First of all, I think crispy prosciutto is better than bacon. Plus, it isn’t as fatty. 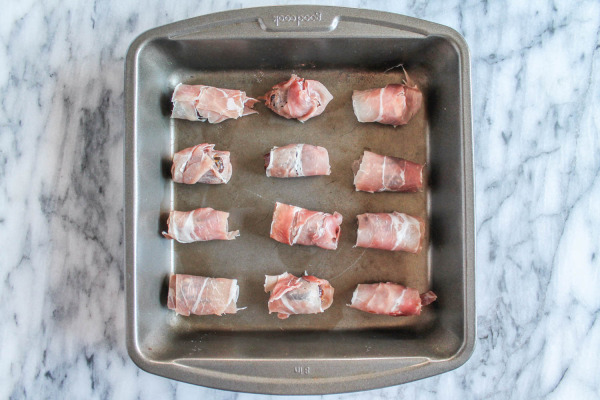 And – it sticks to itself, so you don’t need toothpicks to hold these wrapped dates together as they bake. I also switched up the cheese, and instead of using goat cheese, which can be crumbly and hard to work with, I used Garlic and Herb Alouette instead. It added an extra burst of flavor to the recipe, and it was easier to work with than goat cheese. 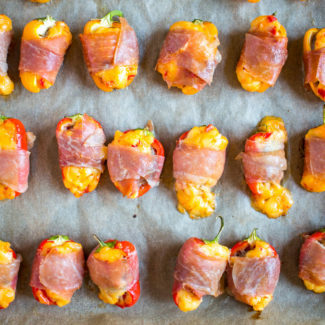 This recipe is the perfect thing to serve at a party. 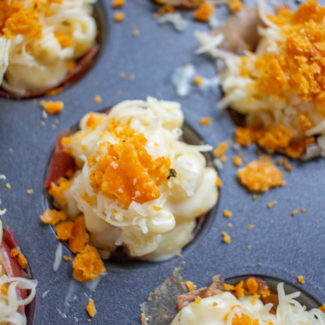 You can prep the wrapped dates ahead of time – before guests arrive, and then just pop them in the oven to bake for 15 minutes once the party starts and your guests will have a warm cheesy appetizer. 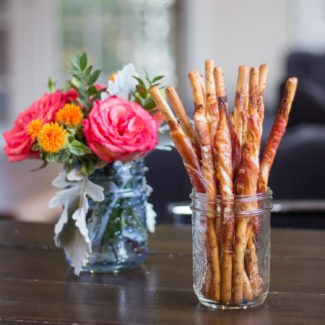 But I will be honest, I didn’t throw a party, I just cooked these up as a little Sunday afternoon snack. Heat your oven to 350 degrees. Then slice the prosciutto in half, creating two long thin pieces. Slice the date creating a small hole. Remove the pit if there is a pit. Them use either a knife or a pastry bag to fill the date with the Alouette cheese. 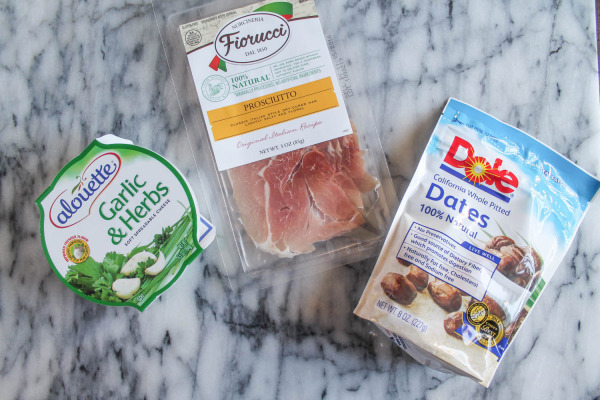 Wrap the date with the prosciutto. 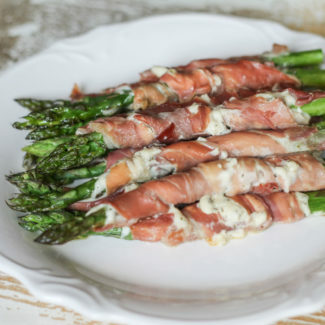 I like for there to be a few layers of prosciutto, it makes the dates extra crispy. Bake the dates for 15 minutes. Serve warm.